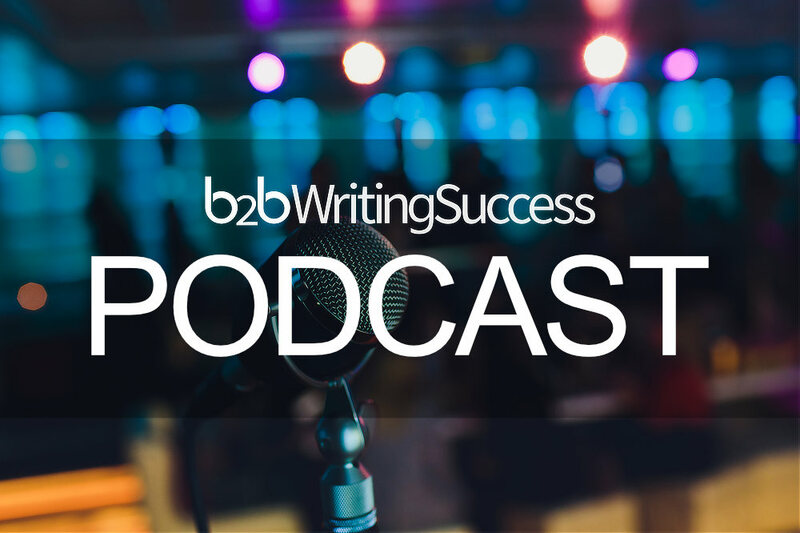 In the first-ever 4 Weeks to B2B Pro Virtual Workshop, eight B2B copywriting experts walk though the eight most in-demand, highest-paying B2B projects. Plus, two bonus sessions on getting B2B clients. 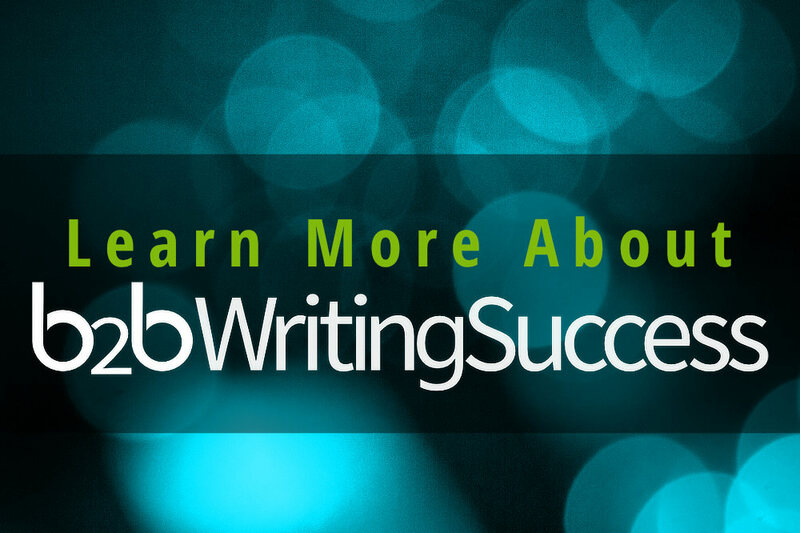 The live blog includes special updates for B2B Writing Success platinum members. Be sure you’re logged in to access all of the premium content. If you’re not a member yet, give platinum membership a try! The live blog kicks off at 7:00 p.m. July 14, see you then! Because this is a Virtual Event there will be NO home study sold. But you can still jump in and get full access to all of the sessions, bonus materials, and reviews on eight writing assignments by going here. And we’re off and running! Steve Slaunwhite introduces our first speaker, B2B master copywriter Bob Bly. Bob will talk with us about his secrets of B2B Lead Generation – Writing and Designing B2B Landing Pages. Bob gave us his winning 10-point formula for a lead generation landing page. He advises saying free as often as you can. He reminds us that on a lead gen landing page the purpose is to sell the lead magnet not the product. Testing is critical. You should test headlines, images, even the submit button. Don’t assume one thing will work best on all landing pages. Building credibility is critical. One way is with a credibility pre-head on the page. I love that Bob is showing us he own landing pages and giving us his conversion rates. He’s proving that his formula works. Bob recommends the “value close” that positions the price as a drop-in-the-bucket compared to the value you get. Provide proof for claims that may be difficult to believe – use images like graphs when possible. Bob gave us his 10 rules for writing landing pages that sell. Rule #6: Put an emotional hook in the lead. And we’re back with Bob Bly to learn about email marketing and online ads that will drive traffic to our landing pages. When you’re writing your emails, remember to think both verbally and visually. Bob says that his 5-part motivating sequence is the most valuable part of this second hour. The first step is to get the reader’s attention. This was a surprise – the most important part of a B2B email is the “from” line! If you’re not a trusted source, the email won’t get opened and read. Again, testing is critical. The subject line you think will do best may not win in a test. Assume nothing! Who should your email come from? If your company is well-known, it should come from the company. If you are a guru or celebrity, it should come from you. An e-newsletter should come from the publisher. Your opt-out rate shouldn’t be higher than .1%. If it is, you may need to make some changes to your emails. We’re looking at some examples of ads. Bob emphasizes again that ads should link to a landing page, not a website home page. Great question about whether you should use text or HTML in your emails. Bob says it depends on what you’re selling. He doesn’t sell visual products so he uses text but a business like International Living would benefit from using HTML so they can include images of retirement havens. Once again, Bob Bly exceeded expectations. He shared a ton of his best tips to create landing pages that convert and emails that get opened and clicks. We’ll be back on Thursday night at 7:00 pm. Be sure to join us again! Thursday, July 16 7:03 p.m.
Steve Slaunwhite is introducing Casey Hibbard – the leading expert in writing case studies. She’s written over 1,000 case studies! Customers tend to open up more to a 3rd party which is why it’s advantageous to outsource case study projects to freelancers. 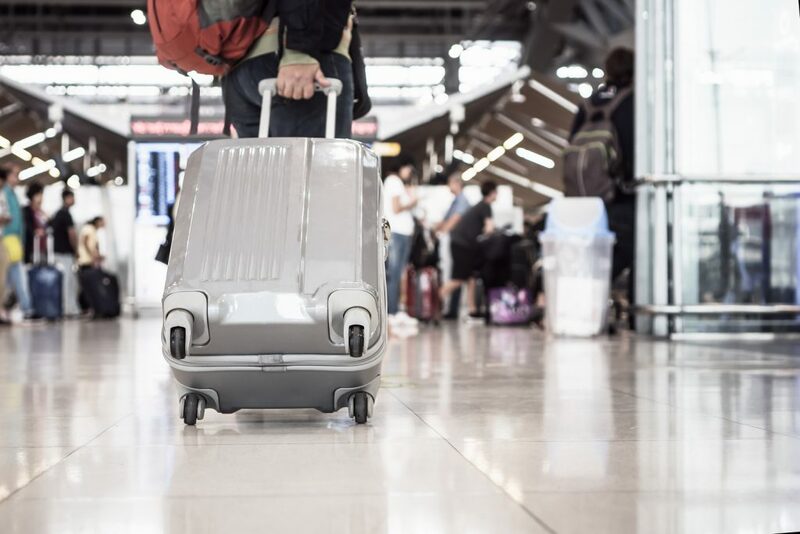 “Strangers with experience.” While you may not know the people featured in case studies, it gives potential clients confidence in a company. If the product is expensive, complex, or risky, case studies can provide excellent value in the buying process. They add credibility, education, and validation. Casey gave us 11 examples of how businesses use case studies. 11! One I’d never thought of is for awards – they can submit a case study as part of a professional competition. Consultants, Professional Services firms, and Technology firms are some of the best prospects for case study projects. Casey walks us through the typical 8-step process of creating a case study. She recommends that your client contact their customers to get them to agree to the interview with you instead of you contacting them together. Before you start writing, you should do your homework and know what your client does and what benefits they bring to their market. We start back with Q&A from the audience. There are two main formats – the Traditional Format where the heading are “Customer”, “Challenge”, and “Solution”. The Feature Format is more like a magazine article, and uses descriptive subheads that tell a story. Be sure to get a “why” quote – why did they choose your client’s product or service? Headlines matter in case studies too! Make sure they are strong. When you pitch case studies to a client, try and contact the highest-ranking employee you can. Start with the marketing manager. Casey said you can charge from $800 for a 1-page case study up to $4,000 for a 4-page case study. It’s very good income and they are fun to write! Casey is wrapping up by answering more questions. Join us next Tuesday, July 21. Casey Demchak will teach us all about B2B video scripts. Casey has experience in the film industry so he’s certain to have some unique insights! Reminder! You can get access to this week’s two sessions, plus the remaining 8 sessions here. Steve Slaunwhite introduces Casey Demchak. Casey’s topic tonight is writing B2B Video scripts. 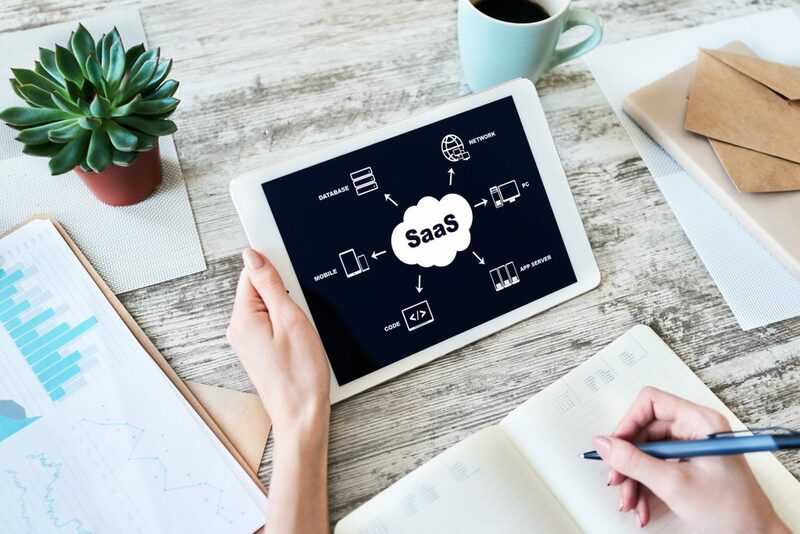 B2B companies use video to generate leads, sell products, train clients how to use products, train their sales force, and more. Video projects have more moving parts so it’s important to know what you’re doing to avoid any pitfalls. 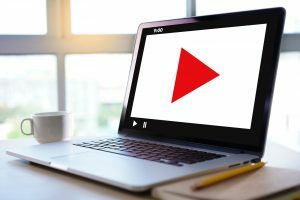 You can find out what your prospects are doing by going to YouTube and see what’s there. Video script formats are changing. One newer format Casey uses is the semi-screenplay format. He’s even done a script using the “Just write it down” format which doesn’t direct the videographer. When writing a video script, you want to “hook” the viewer right from the start. Open up talking about your prospect first. Don’t bore them talking all about yourself or your product. 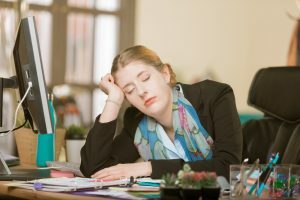 It’s important to know if your client plans to use professional actors or employees in the video. It can change how you write the copy. We’re taking a short break for a writing assignment and to stand up and stretch. Back at 8:02. We’re going to talk about how to become more valuable to your client. #1 – become a good storyteller. When you can tell an engaging story, you’ll be able to write better video scripts. Your voice should be authentic and conversational. Your voice could be inspirational, authoritative, or something else. Movement is also important to make the video more engaging. Music can greatly impact the video. Look for the wrong music, or times when music detracts from the video instead of adding to it. Casey advises you to always get at 50% deposit before working with video production companies. And also make sure your agreement says you get paid, even if they don’t get paid by their client. Be sure you charge for all of your activities. If you’re going to be invovled in production meetings or spend time on the set, add a fee for your time. Steve Slaunwhite agrees with Casey that LinkedIn is a gold mine for copywriters. Depending on your client, your script may need to go through regulatory and/or legal review. Once approved, nothing can change. If you’ve got a good script and the video came out really good – show the video in your portfolio. If the video is weak, you can show your printed script. We’re wrapping up tonight’s session with Casey Demchak – it’s been excellent! Join us Thursday, July 23 at 7:00 p.m. Eastern time for our next session with Michael Katz. Welcome! Steve Slaunwhite introduces e-newsletter expert Michael Katz. People who sign up for your newsletter are predisposed to like and trust you. They are getting a free sample with no risk. It’s hard to sample a service. A newsletter lets a prospect see what you do. With a newsletter, you’re not fighting for someone’s attention – you already have it. A newsletter has the same three parts as a magazine: content (words), format (layout), and delivery. Most companies get tripped up by not sending their e-newsletter consistently. That’s where you come in – you can keep them on schedule! Creating a prospect persona will help you be more specific when you write your content. Your writing style should be in your natural voice. And you should write as if you know the person you’re writing to. Your stories are unique – tell them! It makes you stand out and be memorable. Grab people’s attention right away with an intriguing open sentence. Your content needs to be “narrow”. Keep your topics small. Don’t just put anyone on a newsletter list. The client should know them. Sending to people you don’t know doesn’t add value. Next after a short break: Working with clients. The subscription model is great – clients pay you over and over and over! Writing the newsletter gets easier over time and there are few emergencies. You can charge a “launch fee” to get the newsletter set up and the first issue sent. Four people to line up to work with: a designer, a tech person, an editor, and an email vendor. Michael’s presentation was packed with practical, easy-to-follow guidelines for creating and writing e-newsletters for professional service firms. You can get this presentation and all of the others here – but only while the 4 Weeks to B2B Pro Virtual Workshop is live. Once it’s done, the doors are closed! We’ll be back with the live blog on Tuesday, July 28 with Steve Slaunwhite. See you then! Steve Slaunwhite introduces … Steve Slaunwhite! 67% of sales-ready B2B buyers will check out the company’s website. 80% of potential buyers do research on a company’s site. You must build a relationship with this “80% club” so they do become buyers. Companies are at a point they need to update their websites for mobile users. Plus, many need a re-do to update them to have a more modern look with better content. A company’s story can differentiate them from their competitors. New or updated page – BEWARE! Steve likes to be contacted at the beginning of the website project when he can have the most impact. We’re back from the break and ready to get into the nitty gritty of website content. Write website copy in “business casual” style. It should be easy to read, and benefit-rich for the prospect. Look for opportunities for visuals – use them when it can add value to the page. Put the most important information “above the fold.” It should be immediately visible when the prospect lands on the page. The home page needs a clear benefit-focused headline. Keep your copy short and impactful. It must be clear what the prospect should do next – make it obvious! People go to the product/service page because they are interested in the solution. You should have on your salesperson hat when writing this page. Here’s a trick: if you have information-heavy descriptions, include a short summary that’s quick and easy to read and get the most important points. Always have a call-to-action on the product/service page. Always. Put some copy on the Contact Us page to make it friendlier and warmer. When working with a designer, be flexible to add visuals or change the copy to “work” better with the design. Steve’s session was incredibly informative and helpful. We’ll be back on Thursday with Steve and Melanie Rembrandt. Can’t wait! 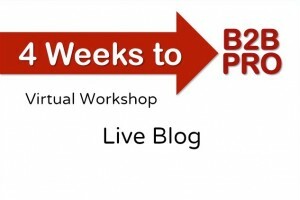 There’s still time to get in on the 4 Weeks to B2B Pro Virtual Workshop. Don’t wait and get locked out! Get your full access pass here. Remember, there will be NO home study sold! Once the workshop is over, the door is closed. See you Thursday, July 30 at 7:00 p.m..
Steve Slaunwhite introduces Melanie Rembrandt. Tonight Melanie is going to talk about B2B blogs and articles. Melanie explains the differences between blogs and articles. Blogs tend to be 300-500 words and are written in an informal, personal style. Articles are 800 – 2500 words, more formal, and intended to inform. Articles typically provide more credibility than blogs. Blogs can be edited and taken down if they are getting negative feedback. Articles are static. Once published, articles don’t change. Businesses need BOTH blogs and articles. You can charge $50 – $500 per blog post and $100 – $2,500 per article. Most important: Ask them what their content strategy is BEFORE you start writing! Melanie recommends you have your clients sign an agreement (digital signatures are fine) before you start work. Make sure everyone understands what you’re going to d0 – no hidden expectations. Without a content strategy, you can’t show how your work provided value. Time to get into the nitty-gritty of writing blogs and articles. Develop blog ideas using industry trends, current news and events, social media results, and Melanie’s favorite – lists. Melanie stresses that you should always provide truthful information and check your facts before you publish. It’s really, really important. Melanie is giving everyone in the class the opportunity to write a quick blog and potentially be hired to work with her! Amazing opportunity! Melanie is answering questions on working on the assignment. Always proofread your article. Melanie suggests using the Associated Press Stylebook. Read your article out loud to see if it flows. Fix any spots that don’t work. Track your results so you can show your client what’s working and what’s not working. This has been an excellent session. Melanie is so sharp. Join us next Tuesday, August 4 for Steve Slaunwhite’s presentation on B2B visuals. A support visual is a “nice to have” but the copy can stand alone without it. A direct visual shows the product or what you are talking about. It is a necessary element to explain the product. An infographic visual can stand on its own without other copy. As a copywriter, you can suggest visuals or even handle the design services by collaborating with a graphic designer. If you’re doing anything in print, be sure to partner with someone who is good in print design. It’s a unique skill set. Steve recommends starting a swipe file with examples of good visuals. Study what works! Infographics are an excellent way to show a process or timeline. Steve has walked us through lots of examples – very helpful! We’ll be back on Thursday with Gordon Graham to learn all about White Papers. See you then! Steve Slaunwhite introduces our last speaker on B2B content – Gordon Graham. Tonight we’re taking about writing white papers. White paper can continue to work for years. Gordon has one he wrote 9 years ago – and they are still using it! It’s been downloaded over 7000 times. That’s a very happy client. A white paper is a persuasive essay, using facts and logic to promote a B2B product, service, or methodology. It should be 5 or more pages, with facts and research, and is used in the B2B pre-sales stage. It’s not emotional. Instead it persuades by being educational and practical. Steve asked a questions about using visuals in white papers. Gordon has definitely seen white papers evolve. He said it’s important to have an engaging cover. He always adds a photo. 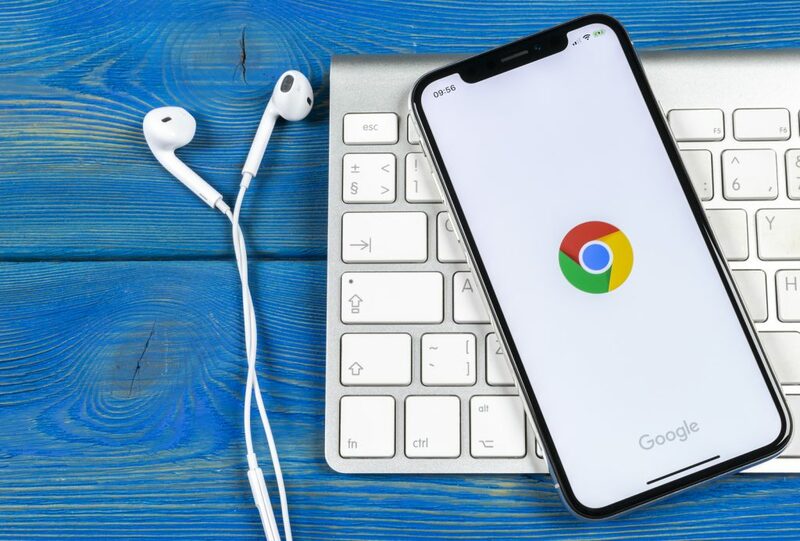 White papers are a type of content that Google loves. They can help drive search results. There are millions of companies that use white papers. That’s a huge prospect base! We’re back from break with Gordon Graham. 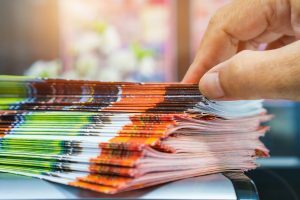 One main type of white paper is the backgrounder. Once use is when there is a launch of a new product. A second type is the numbered list. They are an easy read and work especially well for skimmers. A third type is problem/solution. A problem/solution white paper can help generate leads, build credibility, and nurture prospects for a complex sale. These three types of white papers represent 80% of all white papers. White papers may be for you if like doing research, writing long form copy, and writing to explain. It’s been a fantastic session with Gordon Graham. Time to wrap up and answer the last few questions. We’ll be back next Tuesday, August 11 with Ed Gandia. See you then! Ed stresses, nothing else matters if you can’t get clients! To be successful, you need a roadmap. But don’t focus on the end point – focus on the next step you need to take. If you lack experience, samples, and confidence that’s okay – you can do a couple of pro bono projects to get all three. Tap your existing network to get your first projects, paid or unpaid. What do clients value in a freelance copywriter? Some examples: no hand-holding required, quick turn-around, error-free copy, and excellent storytelling skills. Compare to your unique experiences and talents. Then tie your unique abilities to what clients value. Don’t worry too much about what type of copy you will write. It will likely develop over time. Gordon Graham didn’t start out as “That White Paper Guy,” his business evolved into a focus on white papers. Time for a short break. Be back in 5 minutes. We’re back and Ed is answering questions from the group. Now, time to turn your positioning into copy for your website. A Value Statement is a simple paragraph, or series of bullet points that communicates your positioning. Ed gave us a template to use to make writing out our Value Statement much easier. Now you’re ready to set up your website. The objectives of your website should attract the first two rounds of clients, serve as an effective prospect filter, and do some of the “early-stage” selling for you. Your headline should highlight your value statement or a problem you will solve for your prospects. Ed is showing us some good examples of freelance copywriter websites. Very helpful! He advises that you should make yourself easy to reach – don’t just rely on a contact form. We’re wrapping up with the group’s final questions. This was a very helpful session! Join us on Thursday at 7 p.m. for our final session with Ed Gandia and Steve Slaunwhite. August 13, 2015 7:00 p.m. Welcome to the last session of the 4 Weeks to B2B Pro Virtual Workshop! Tonight we wrap up with Ed Gandia who will give us more tips on getting clients. 50% of new businesses fail before year 5. You must commit to getting clients! Don’t worry about what you don’t have and if you see someone else with “better” ones. Work with what you have! If you’re getting started with pro bono work, look to your own network, a small business group on LinkedIn, or a local networking group. In return you ask to be able to use it as a sample and if they are happy with it, they give you a testimonial. If you’re doing a website, have them agree to go live in 60 days or less. About 30% of the time, your first client will come from your initial launch list efforts. You’re #1 job is to get your first client. Back from the break! Ed has gone through his email templates – very helpful! Often you can find out a contacts email address through Google if you’re not able to connect with them via LinkedIn. Ed walked us through his warm email prospecting flowchart. It’s an excellent step-by-step roadmap. This has been a fantastic session and a perfect way to wrap up our Virtual Workshop. Ed made a very special offer for just 5 people. You can read all about it here. Thanks to Steve Slaunwhite and all of our experts for a very successful virtual event!